These earrings are made from blue pressed glass beads. I used silver findings, rhinestone head pins, silver tube beads and silver seed beads. 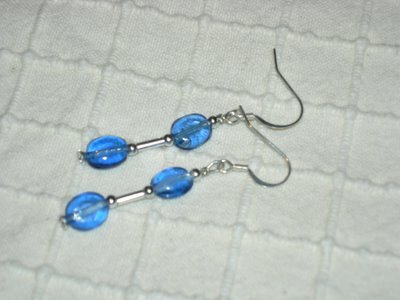 These are the first pair of earrings I made. The start of my newest hobby.